I'm not one to turn down candy - but even I will admit (while I'm eating them) that not all candy is good. We recently wrote about the favorite Christmas snack of Idaho being Peppermint Bark. That is actually not a bad treat and is definitely better than the chocolate covered orange sticks. Oddly the orange sticks didn't make a list of the worst Christmas candies and the peppermint bark did? 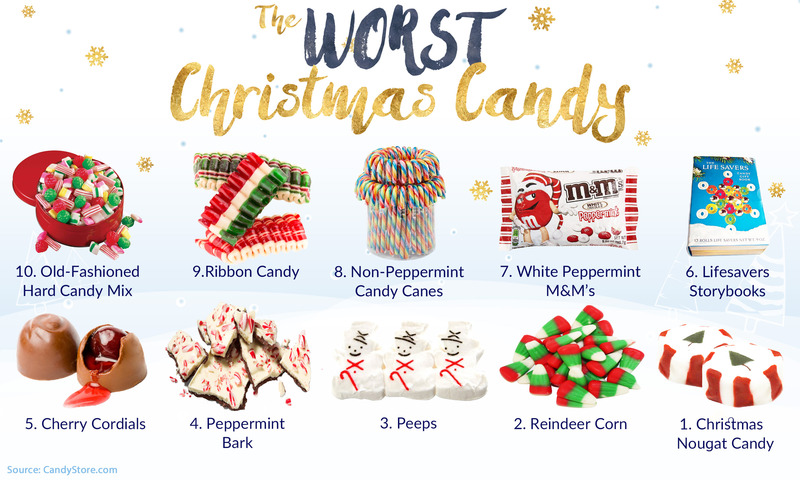 The Candy Store website does a solid job covering the worst Christmas candies (most of which I'd still eat) including the peppermint bark, the Christmas nougats, and the old fashioned hard candies. What is your least favorite Christmas candy?